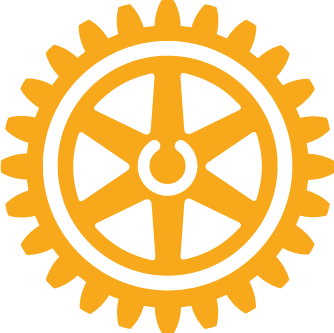 It is a world-wide service opportunity for Rotary International, with numerous clubs doing projects on the fourth Saturday of April. The service day began in San Diego and has since spread throughout the United States and overseas. Rancho Bernardo Sunrise Rotary Club focused its efforts on two places it has helped before — the Ronald McDonald House at Rady Children’s Hospital and PoVa Therapeutic Riding Center. Rotarian Nasrin Barbee, the club’s community service director, said at the Ronald McDonald House members painted the kitchen pantry, cleaned its shelving units and other items, re-painted stripes in its parking garage and did other maintenance tasks that were needed. At PoVa in Poway, the Rotarians cleared brush throughout the property and did other landscaping chores, such as tree trimming. “(Both) do great things for the community because of the type of service they provide and we want to give back to them,” she said. The Rotary Club of Rancho Bernardo also tackled two service projects on Saturday. 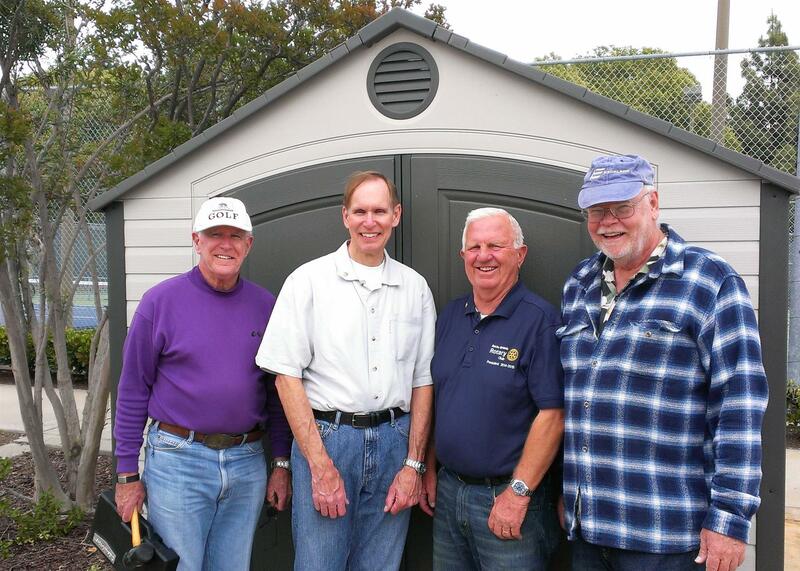 Club President Don Glover said at the Ed Brown Senior Center in Rancho Bernardo Community Park, the Rotarians demolished an old storage shed and replaced it with a new one they assembled. They also painted bathrooms and outside patio furniture. Another group of Rancho Bernardo Rotarians gathered at the home of Rotarian Mira Bozanich to assemble 150 lunches for homeless individuals receiving assistance from Interfaith Community Services in Escondido. As for the Rotary Club of Poway-Scripps, its members will complete their service project on a future date since they got rained out on Saturday morning, said Rotarian Bill Stoudenmire. The Rotarians had planned on weeding and cleaning up the trails at the Kumeyaay-Ipai Interpretive Center in Poway. “We were ready, but the Kumeyaay folks thought it was too muddy and slippery and that we would have done more harm than good,” Stoudenmire said.